Andy Warhol once said that everyone will have 15 minutes of fame. But why stop at 15 minutes? Being a celebrity opens doors that are closed to even the top members of society. Numerous celebrities have become budding business moguls and established themselves as very successful entrepreneurs. Their names have become brands worth millions of dollars. And celebrity status offers something that money really can't buy. It gives you a position and importance in society that can perhaps be rivaled only by top political leaders. More people will listen to what a celebrity has to say on a subject he or she may know nothing about than to wisdom from a senator who has served his state all his professional life. Celebrities are the new royalty. So why wouldn’t you want to be one? This book provides a step-by-step description on how you can build a career in the limelight—from the very basics to the hidden secrets of the trade. It won’t change your life overnight, but it will give you all the tools you need to succeed. When I first read the title to this book, I thought it would focus on actors. However, most of the advice in this book could be used for a number of careers, including my own career as an author. The book does have a number of resources geared towards actors, but much of the advice is helpful for anyone in a career where fame can help boost success. For example, I found that making a list of the skills I needed to accomplish to be successful was extremely useful. Since reading the book, I've worked hard to hone my cover art creating skills so that I don't have to pay someone to create a cover for me. 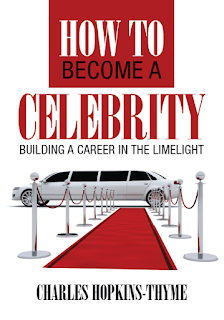 If you want to be successful in your career, read How to become a celebrity. It's an eye-opening look at what it really takes to become famous and is loaded with invaluable advice to get you started on the right path. I'll Be Damned by Casey Keen - Pick of the Day! Crescent Bound - Book 1 by Karli Rush - FREEBIE! Her Mad Hatter by Marie Hall - FREEBIE! Cupidity by Holly Hepburn - Pick of the Day! 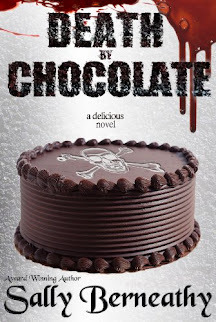 The Academy Book 1 by Chad Leito - FREEBIE! Let's Pretend by Monique DeVere - FREEBIE! Graveyard Shift by Angela Roquet - FREEBIE! The Hitwoman Gets Lucky by JB Lynn - FREEBIE!